YAY! 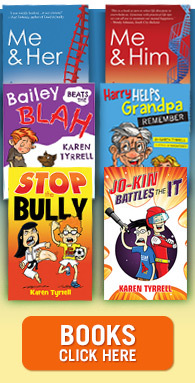 I’m book signing Jo-Kin vs Lord Terra at Dymocks, Angus & Robertson, Riverbend and Mary Ryans book stores. 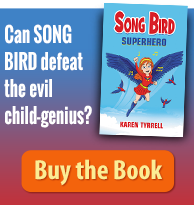 I can’t wait to meet you and personally sign your copy. 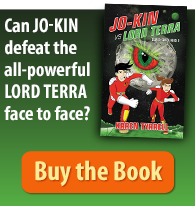 What is Jo-Kin vs Lord Terra (Super Space Kids 2) about? I’m signing copies of my resilience books at Angus & Robertson Capalaba Park Shopping Centre. WOOHOO! I’m sharing my gutsy mental health recovery memoir, Me and Her: A Memoir of Madness at Mary Ryan’s Books Music and Coffee, Toowoomba on the 1st of July.